Juice bars are no longer frequented only by those labelled as “health freaks”. 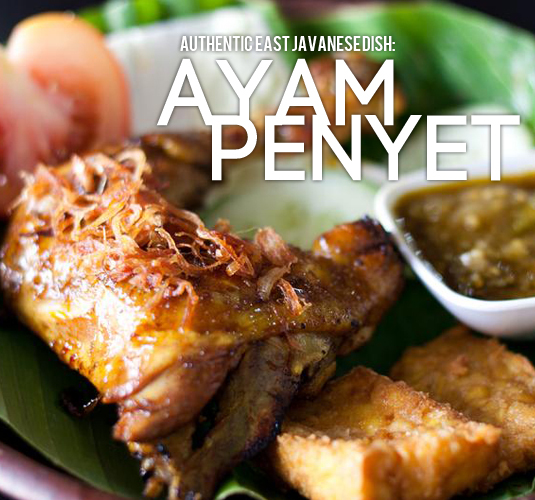 Lately, they’ve become ubiquitous not just in Klang Valley, but around Malaysia. 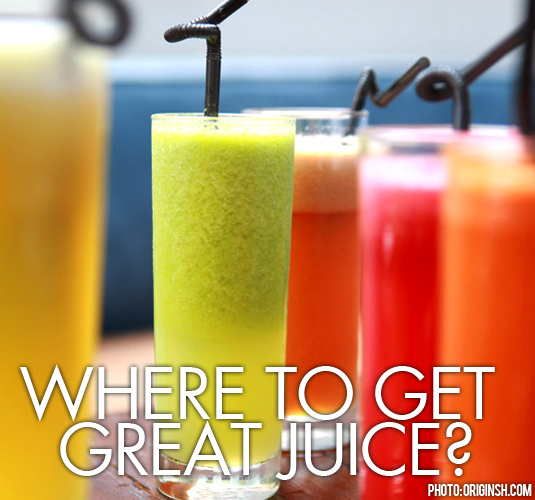 We went around town scouting for these juice bars to try them all out! 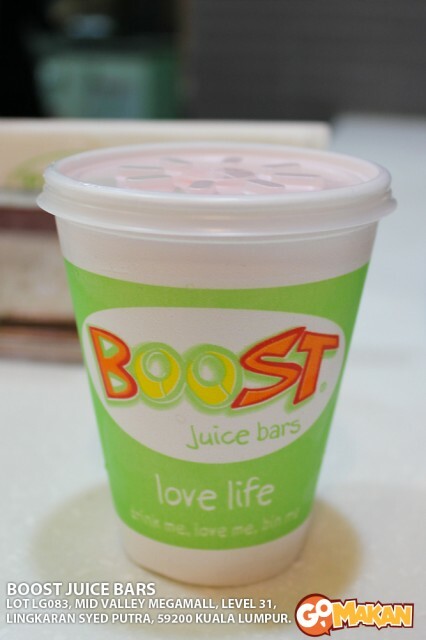 Boost has a huge variety of juices and and smoothies made from fresh fruits. 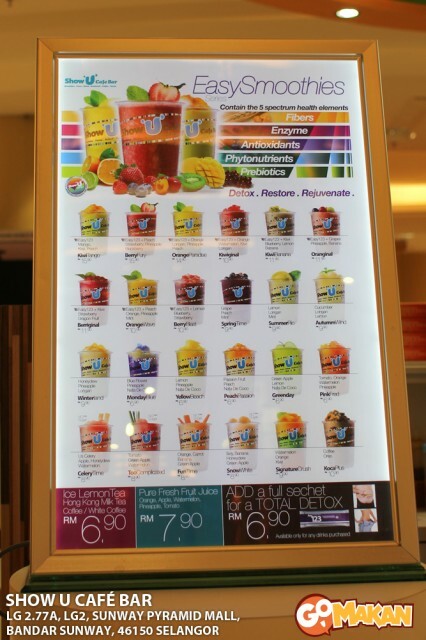 Some of them are marketed as health drinks, such as their low fat smoothies, and smoothies with wheatgrass! 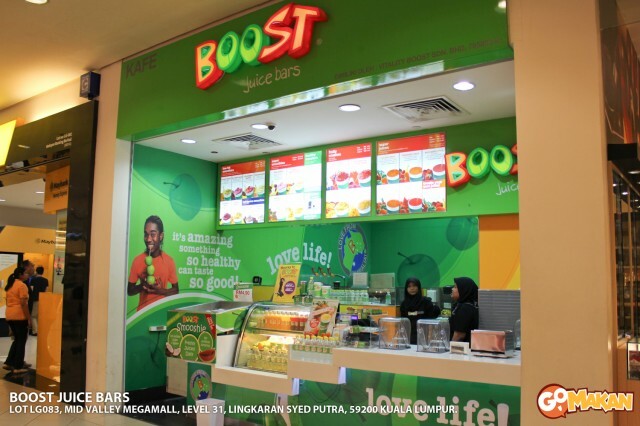 Originating from Australia, Boost has taken Malaysia by storm, and you can now find a kiosk in almost every major shopping mall. Here’s what a small cup of Boost looks like. I tried their Strawberry Squeeze, which is made of strawberries, banana, apple juice, and yoghurt. It tasted really good! Not as thick as some other brands (I guess they use less yoghurt), but good nonetheless! 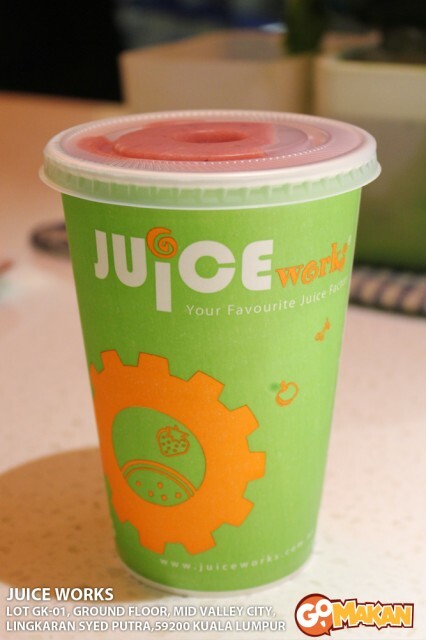 Our second stop was Juice Works, also at Midvalley. Juice Works is slightly different in that they have a bigger selection of juices (as opposed to Boost’s emphasis on smoothies). They have a great selection of tropical fruit juices which are made from lychee, mango, watermelon, and even dragon fruit. There’s also some detox and power smoothies for the health conscious folk. 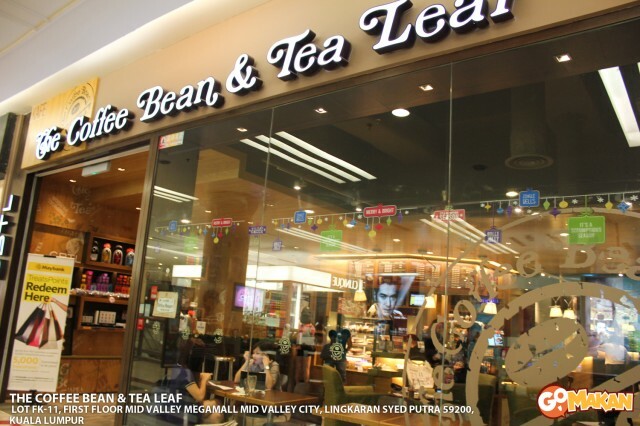 Next, we headed to Coffee Bean. I know, not really a place that people usually think of when they hear the word “juice”, but believe it or not, Coffee Bean actually serves some pretty good smoothies! Banana Caramel Smoothie. There was loads of banana inside, and milk, too. I’m not a fan of milk, but this smoothie was pretty decent, considering Coffee Bean is, well… a coffee house. 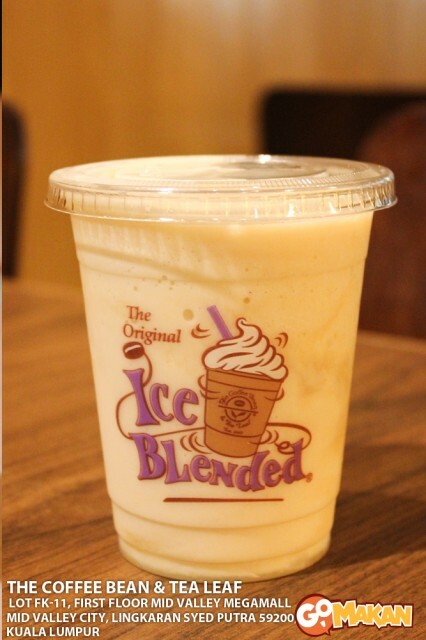 So the next time your friends drag you to Coffee Bean and you happen to be someone who doesn’t drink coffee, definitely give their smoothies a try! 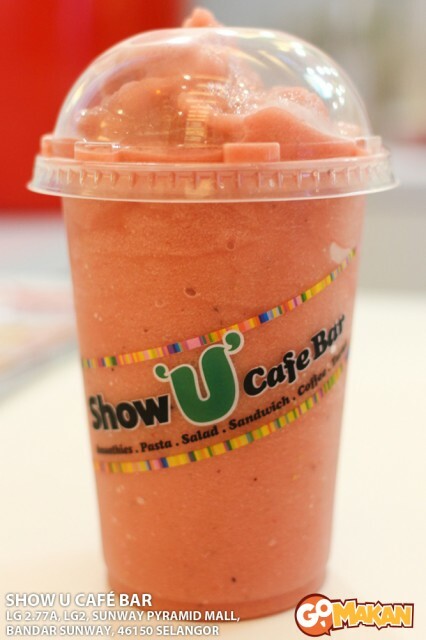 Next stop was EasySmoothies by Show U Café Bar at Sunway Pyramid. The best thing about this place is the price of their smoothies! It’s cheaper than the other juice bars, and tastes similar enough. This is their “Oranginal”, which has orange and strawberries in it. Their smoothies aren’t made with yoghurt or milk, to they’re icier and lighter. It depends on what sort of smoothies you like—plain ice, or milky. Either way, it’s pretty good. 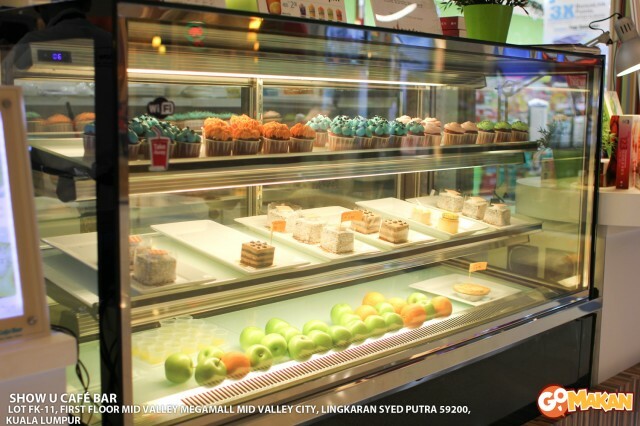 The café also serves food, cakes, and sandwiches, so it’s not just a juice kiosk. 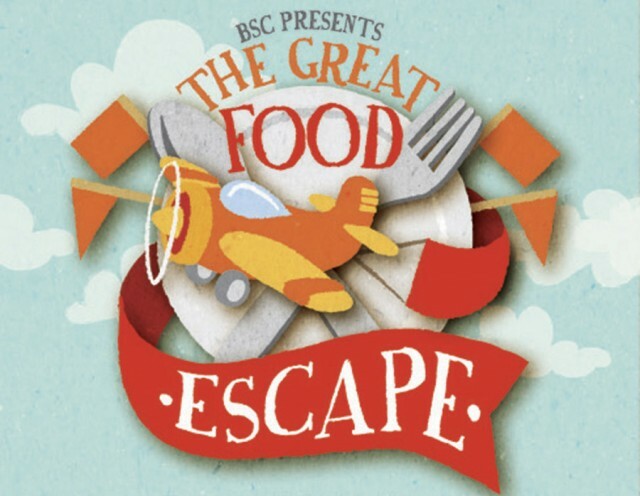 Check out their selection of cakes. 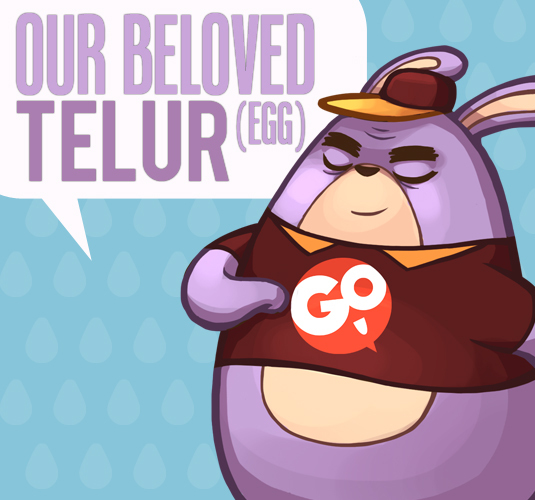 I know, makes you think of bubble tea, right? 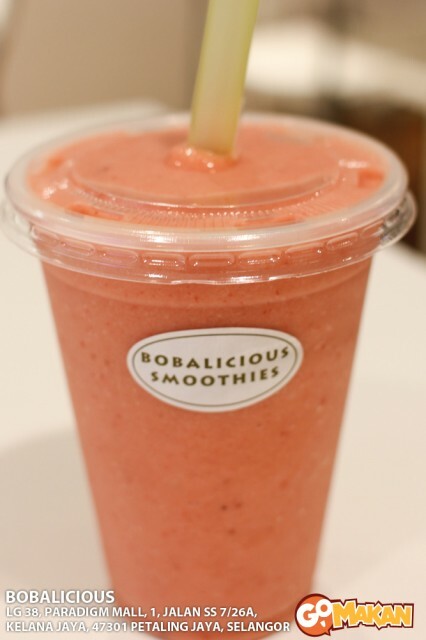 Bobalicious aren’t actually specializing in bubble tea, though! They have a respectable variety of smoothies and juices (that you can add pearls to). From fruits like strawberries, mangoes and peach to soursop, guava, and papaya, there’s really something for everyone to try. 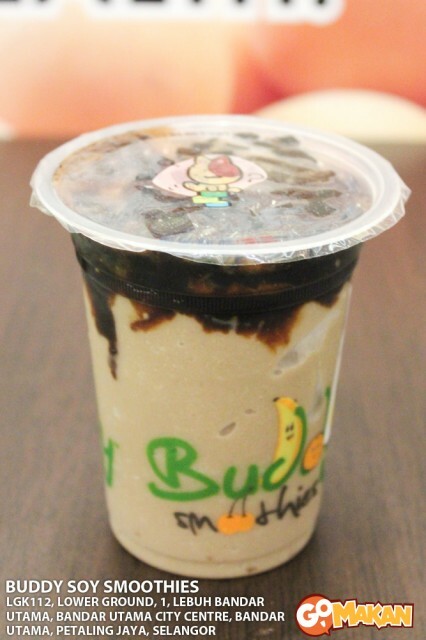 Coffee and chocolate lovers will appreciate their “indulgences” line, which includes cappuccino, matcha, chocolate, and Oreo blended smoothies. I guess some people wouldn’t really call this juice, as almost everything is soy-based, but we thought it was an interesting concept! They have “smoothies of the day”, whereby a featured smoothie each day sells for an extremely low price. 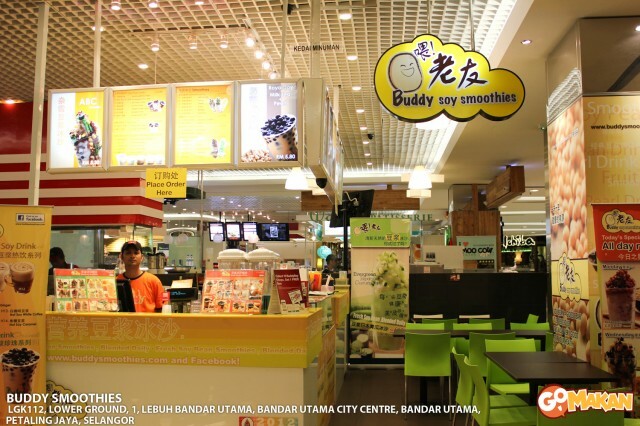 Buddy Smoothie serves local favourites (smoothie style!) like cendol, soy milk, red bean, cincau, and ice kacang. Cincau soya smoothie. It was a good change from the usual smoothies you find around town these days! 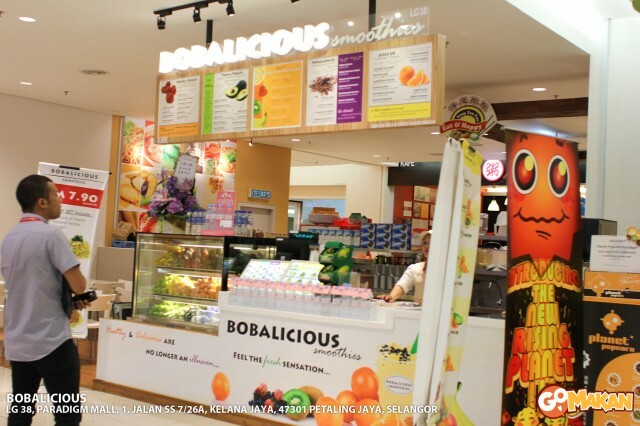 And there you have it—some of the most popular and interesting juice bars in the Klang Valley.